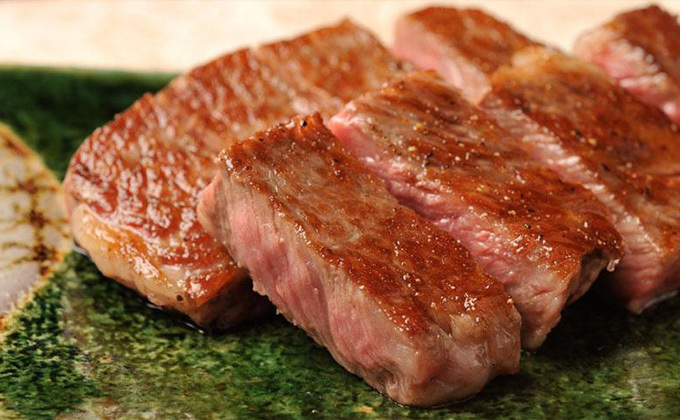 Savor our Oshu Beef steak from Iwate Prefecture. Oshu Beef has a unique taste and flavor. The red meat and the fatty meat are fine and tender, so you can enjoy either or both. We use the highest-grade, A5-ranked fillet and A4-ranked sirloin, with the best balance of flavor and marbling. We serve the highest-grade A5-ranked fillet and A4-ranked sirloin with the flavor and marbling in the best balance.